Starting at "Starting at" price represents the Manufacturer's Suggested Retail Price (MSRP) for the base model minus Total Discounts (where applicable). Price does not include taxes, freight (from $1,895 to $2,595), insurance, registration, licence, A/C charge, retailer administration fees and other charges, and new tire duties (in Quebec). Model shown may be an upgraded model. Total Discounts may vary from time to time and may vary considerably by model and trim. Total Discounts include Consumer Cash Discounts, which are applied before taxes, and/or Bonus Cash Discounts, which are applied after taxes. Retailers may sell for less. See your retailer for complete details. Starting at Estimated payments based on "Net Amount", which represents the "Starting At" price plus freight (from $1,895 to $2,595), federal A/C charge and applicable green levy charges. Net Amount does not include taxes, insurance, registration, licence, retailer administration fees and new tire duties (in Quebec). Estimated payments are calculated based on the difference between the residual value and the Net Amount, plus any lease finance charges. Estimated payments will vary depending on down payment/trade.Low lease kilometre limit of 18,000 km/year. Charge of $0.16 - $0.20 per excess kilometre will be applied, plus applicable taxes at lease termination. The APR is the effective interest rate which includes the Consumer Cash which lower rate financing customers forego as a cost of borrowing. For further offer details, click here. Starting at Offer based on "Net Amount", which represents the "Starting at" price plus freight (from $1,895 to $2,595), federal A/C and applicable Green Levy charges. Net Amount does not include taxes, insurance, registration, licence, retailer administration fees and new tire duties (in Quebec). On approved credit on eligible retail deliveries. Retailers may sell for less. See your retailer for complete details. The APR is the effective interest rate which includes the Consumer Cash which lower rate financing customers forego as a cost of borrowing. For further offer details, click here. Includes $8,000 in Quebec Provincial Rebate Provincial electric vehicle incentive programs are administered independently by British Columbia and Quebec. FCA Canada Inc. is not responsible for the administration of these incentive programs, which are subject to change or cancellation by the applicable province without notice. The incentive amounts referenced by FCA Canada are for informational purposes only and represent the maximum incentive amount provided by the applicable province on eligible vehicles. FCA Canada makes no representations about the actual amount of the incentive that a consumer may be eligible to receive and/or about a consumer’s/vehicle’s eligibility for an incentive program. Each province will determine: (i) the amount of the incentive applicable to each eligible model; and (ii) the terms and conditions, eligibility, application and other requirements applicable to the incentive program. In British Columbia and Quebec, the incentive will be applied after taxes. Conditions apply. For more information about these incentive programs, please consult your provincial government or speak with your dealer. Includes $5,000 in British Columbia Provincial Rebate Provincial electric vehicle incentive programs are administered independently by British Columbia and Quebec. FCA Canada Inc. is not responsible for the administration of these incentive programs, which are subject to change or cancellation by the applicable province without notice. The incentive amounts referenced by FCA Canada are for informational purposes only and represent the maximum incentive amount provided by the applicable province on eligible vehicles. FCA Canada makes no representations about the actual amount of the incentive that a consumer may be eligible to receive and/or about a consumer’s/vehicle’s eligibility for an incentive program. Each province will determine: (i) the amount of the incentive applicable to each eligible model; and (ii) the terms and conditions, eligibility, application and other requirements applicable to the incentive program. In British Columbia and Quebec, the incentive will be applied after taxes. Conditions apply. For more information about these incentive programs, please consult your provincial government or speak with your dealer. Finance for 4.29% purchase financing for up to 96 months available to qualified customers on approved credit through Royal Bank ofCanada, Scotiabank and TD Auto Finance on select 2018 Chrysler models. 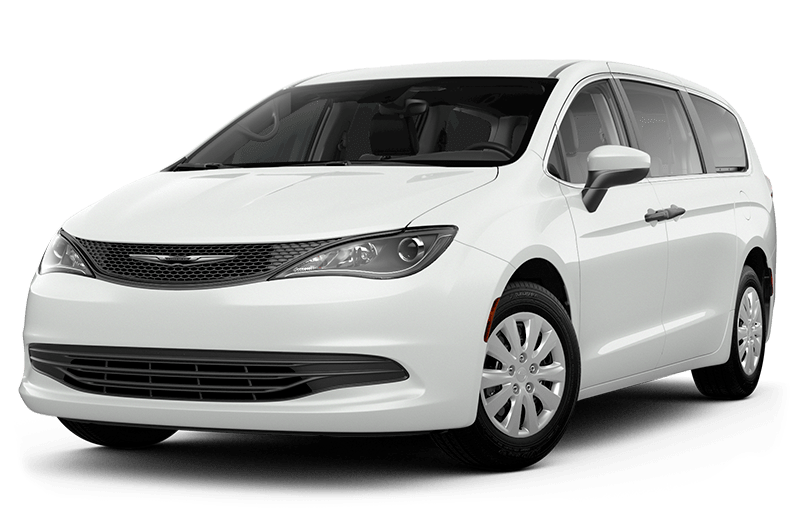 Example: 2018 Chrysler Pacifica L with a Purchase Price of $30,995, with a $0 down payment, financed at 4.29% for 96 months equals 416 weekly payments of $88.15; cost of borrowing of $5,675.4 and a total obligation of $36,670.4. Finance for 4.29% purchase financing for up to 96 months available to qualified customers on approved credit through Royal Bank ofCanada, Scotiabank and TD Auto Finance on select 2018 Chrysler models. Example: 2019 Chrysler Pacifica Touring with a Purchase Price of $34,795, with a $0 down payment, financed at 4.29% for 96 months equals 416 weekly payments of $98.96; cost of borrowing of $6,372.36 and a total obligation of $41,167.36. Finance for 4.29% purchase financing for up to 96 months available to qualified customers on approved credit through Royal Bank ofCanada, Scotiabank and TD Auto Finance on select 2018 Chrysler models. Example: 2019 Chrysler Pacifica Touring with a Purchase Price of $31,999, with a $0 down payment, financed at 4.29% for 96 months equals 416 weekly payments of $91.29; cost of borrowing of $5,977.64 and a total obligation of $37,976.64. Finance for 4.29% purchase financing for up to 96 months available to qualified customers on approved credit through Royal Bank ofCanada, Scotiabank and TD Auto Finance on select 2018 Chrysler models. Example: 2019 Chrysler Pacifica Touring with a Purchase Price of $33,995, with a $0 down payment, financed at 4.29% for 96 months equals 416 weekly payments of $96.69; cost of borrowing of $6,228.04 and a total obligation of $40,223.04. Based on 2014 EnerGuide fuel consumption ratings. Government of Canada test methods used. Your actual fuel consumption will vary based on driving habits and other factors. Use for comparison purposes only. Ask your retailer for EnerGuide information. Click here for full 2014 fuel economy details. Manufacturer’s estimate with fully-charged battery. Actual mileage may vary. Certain specifications, prices and equipment data have been provided under license from Autodata, Inc. dba Chrome Data (“Chrome Data”). ©2017 Autodata, Inc. All rights reserved. This information is supplied for personal use only and may not be used for any commercial purpose whatsoever without the express written consent of Chrome Data. Chrome Data makes no guarantee or warranty, either expressed or implied, including without limitation any warranty of merchantability or fitness for particular purpose, with respect to the data presented here. All specifications, prices and equipment are subject to change without notice. These official ratings are estimates based on Government of Canada approved criteria and testing methods. The actual fuel consumption of this vehicle may differ depending on driving style, road conditions, vehicle options, etc. "Starting at" price represents the Manufacturer's Suggested Retail Price (MSRP) for the base model minus Total Discounts (where applicable). Price does not include taxes, freight (from $1,895 to $2,595), insurance, registration, licence, A/C charge, retailer administration fees and other charges, and new tire duties (in Quebec). Model shown may be an upgraded model. Total Discounts may vary from time to time and may vary considerably by model and trim. Total Discounts include Consumer Cash Discounts, which are applied before taxes, and/or Bonus Cash Discounts, which are applied after taxes. Retailers may sell for less. See your retailer for complete details. Total Discounts include Consumer Cash Discounts, which are applied before taxes, and/or Bonus Cash Discounts, which are applied after taxes. Total Discounts may vary from time to time and may vary considerably by model and trim. Retailers may sell for less. See your retailer for complete details. Based on EnerGuide fuel consumption ratings. Government of Canada test methods used. Your actual fuel consumption will vary based on driving habits and other factors. Use for comparison purposes only. Ask your retailer for EnerGuide information. When properly equipped. Specific model and optional equipment are required to achieve the maximum ratings shown. See your retailer for full details. When properly equipped. Specific model and optional equipment are required to achieve the maximum ratings shown. See your retailer for full details. Image for representation only. Not all colours and wheels are available on model displayed. Please see your dealer or visit Build & Price for full option details. Estimated payments based on "Net Amount", which represents the "Starting At" price plus freight (from $1,895 to $2,595), federal A/C charge and applicable green levy charges. Net Amount does not include taxes, insurance, registration, licence, retailer administration fees and new tire duties (in Quebec). Estimated payments are calculated based on the difference between the residual value and the Net Amount, plus any lease finance charges. Estimated payments will vary depending on down payment/trade.Low lease kilometre limit of 18,000 km/year. Charge of $0.16 - $0.20 per excess kilometre will be applied, plus applicable taxes at lease termination. The APR is the effective interest rate which includes the Consumer Cash which lower rate financing customers forego as a cost of borrowing. For further offer details, click here. Offer based on "Net Amount", which represents the "Starting at" price plus freight (from $1,895 to $2,595), federal A/C and applicable Green Levy charges. Net Amount does not include taxes, insurance, registration, licence, retailer administration fees and new tire duties (in Quebec). On approved credit on eligible retail deliveries. Retailers may sell for less. See your retailer for complete details. The APR is the effective interest rate which includes the Consumer Cash which lower rate financing customers forego as a cost of borrowing. For further offer details, click here. Provincial electric vehicle incentive programs are administered independently by British Columbia and Quebec. FCA Canada Inc. is not responsible for the administration of these incentive programs, which are subject to change or cancellation by the applicable province without notice. The incentive amounts referenced by FCA Canada are for informational purposes only and represent the maximum incentive amount provided by the applicable province on eligible vehicles. FCA Canada makes no representations about the actual amount of the incentive that a consumer may be eligible to receive and/or about a consumer’s/vehicle’s eligibility for an incentive program. Each province will determine: (i) the amount of the incentive applicable to each eligible model; and (ii) the terms and conditions, eligibility, application and other requirements applicable to the incentive program. In British Columbia and Quebec, the incentive will be applied after taxes. Conditions apply. For more information about these incentive programs, please consult your provincial government or speak with your dealer. "Base Price with Destination" price represents the Manufacturer's Suggested Retail Price (MSRP) plus freight ($1,895 to $2,595), A/C charge and federal green levy. Base Price with Destination does not include Total Discounts, options, taxes, insurance, registration, licence, dealer administration fees and other dealer charges, and new tire duties (in Quebec). Model shown may be an upgraded model. Total Discounts may vary from time to time and may vary considerably by model and trim. Total Discounts include Consumer Cash Discounts, which are applied before taxes, and/or Bonus Cash Discounts, which are applied after taxes. Dealers may sell for less. See your dealer for complete details. This includes the base MSRP, available discounts, options, green levy, destination, federal AC charge and finance adjustment values entered (down payment, trade-in and owe on trade). In ON/BC/SASK/ALTA/MAN and QC, Dealer Price includes freight, A/C, OMVIC/AMVIC fee, tire levy, administration charges and all other retailer charges and excludes taxes, licence, insurance, and new tire duties (in QC). In the Maritimes and the Territories, Dealer Price may not include freight ($1,895), A/C, tire levy, administration and other dealer charges, and excludes taxes, licence and insurance. Pricing and offers are subject to change without notice and may not be accurate or completely current. See dealer for complete details. Net Amount represents the base MSRP price plus optional equipment, plus freight, applicable federal A/C and green levy charges minus available discounts and any finance adjustment values entered (down payment, trade-in and owe on trade). In ON/BC/SASK/ALTA/MAN and QC, Net Amount includes all dealer charges and excludes taxes (unless selected), licence, insurance, and new tire duties (in QC). In the Maritimes and the Territories, Net Amount may not include dealer charges and excludes taxes (unless selected), licence and insurance. Pricing and offers are subject to change without notice and may not be accurate or completely current. Dealers may sell for less. See dealer for complete details. Dealers may charge additional fees for administration/pre-delivery and anti-theft/safety products. Please see dealer for details. "MSRP" represents the Manufacturer's Suggested Retail Price including freight. Price does not include taxes, insurance, registration, licence, retailer administration fees and other charges, and new tire duties (in Quebec). Retailers may sell for less. See your retailer for complete details. Please consult a dealership or call the AutoAbility Program Headquarters for details on eligible vehicles, eligible equipment, eligibility requirements and program expiration dates. Based on the latest available competitive information for minivans in the WardsAuto Small Van segment. Excludes other vehicles designed and manufactured by FCA US LLC. Based on EnerGuide fuel consumption ratings for non-hybrid minivans in the WardsAuto Small Van segment. 8.4 L/100 km (34 mpg) highway. 12.9 L/100 km (22 mpg) city. 2017 Chrysler Pacifica with 3.6L PentastarTM VVT V6 engine and 9-speed automatic transmission. Government of Canada test methods used. Your actual fuel consumption will vary based on driving habits and other factors. Based on EnerGuide fuel consumption ratings for minivans in the WardsAuto Small Van segment. 2.8 Le/100 km (101 MPGe) highway. Chrysler Pacifica Hybrid with 3.6L Pentastar™ VVT V6 Hybrid engine and eFlite Electrically Variable Transmission. Le/100 km is an equivalent measure of gasoline fuel consumption for electric energy consumed by Plug-in Hybrid Electric Vehicles (PHEV) operating in electric mode. Miles per gallon equivalent (MPGe) ratings based on imperial gallon. Government of Canada test methods used. Your actual fuel consumption will vary based on driving habits and other factors. This is a driver convenience system, not a substitute for active driver involvement. The driver must remain aware of their surroundings and be prepared to take corrective action to avoid collisions. Requires SiriusXM radio subscriptions governed by SIRIUS terms and conditions available at siriusxm.ca. Based on the latest available competitive information and WardsAuto Large Regular vehicle segmentation. Excludes other vehicles designed and manufactured by FCA US LLC. Based on IHSMarkit Automotive Canadian New Vehicle Total Registrations for combined years 2013 to CYTD August 2018. Based on IHSMarkit Automotive Canadian New Vehicle Total Registrations with 8 Cylinder engines for combined years 2013 to CYTD August 2018. Based on WardsAuto Large/Regular Car segmentation and EnerGuide highway fuel consumption ratings. Government of Canada test methods used. Your actual fuel consumption will vary based on driving habits and other factors. 12.4 L/100 km (23 mpg) city and 7.8 L/100 km (36 mpg) highway on Chrysler 300 RWD with 3.6L Pentastar™ VVT V6 engine and 8-speed automatic transmission. Ask your retailer for EnerGuide information. Never program while driving. GPS mapping and available 3D navigation may not be detailed or available in all areas or reflect current road regulations. Driving while distracted can result in loss of vehicle control. Only use mobile phones and other devices, even with voice commands, when it is safe to do so. Voice commands of phone require a Bluetooth compatible phone. Driving while distracted can result in loss of vehicle control. Only use mobile phones and other devices, even with voice controls, when it is safe to do so. Apple CarPlay requires a compatible iPhone connected via USB cable to the Uconnect® system. Apple CarPlay is a trademark of Apple Inc. Data plan rates may apply. Android Auto requires the Android Auto app on Google Play and AndroidTM compatible smartphone running Android 5.0 Lollipop or higher. Android Auto is a trademark of Google LLC. Based on the latest available competitive information and WardsAuto Large Regular vehicle segmentation. Most luxurious claim based on Chrysler 300C model. Excludes other vehicles designed and manufactured by FCA US LLC. Based on EnerGuide fuel consumption ratings. Government of Canada test methods used. Your actual fuel consumption will vary based on driving habits and other factors. For EnerGuide information, please ask your retailer or visit the Government of Canada website: www.vehicles.nrcan.gc.ca. Le/100 km is an equivalent measure of gasoline fuel consumption for electric energy consumed by Plug-in Hybrid Electric Vehicles (PHEV) operating in electric mode during city driving. Miles per gallon equivalent (MPGe) ratings based on imperial gallon. Use for comparisons only. Electric range based on EnerGuide combined fuel consumption ratings, full battery charge and hybrid mode. Your actual electric range will vary based on driving habits and other factors. Electric range based on EnerGuide combined fuel consumption ratings, full battery charge and hybrid mode. Driving range based on EnerGuide combined fuel consumption ratings, fuel tank capacity, full battery charge, and hybrid mode. Your actual driving range will vary based on driving habits and other factors. The advanced front air bags in this vehicle are certified to the federal regulations for advanced air bags. Children 12 years old and younger should always ride buckled up in a rear seat. Infants in rear-facing child restraints should never ride in the front seat of a vehicle with a passenger front air bag. All occupants should always wear their lap and shoulder belts properly. Always sit properly with the head restraint properly adjusted. Never place anything in front of the head restraint. Not compatible with all garage door openers. No system can repeal the laws of physics or overcome careless driving actions. Performance is limited by available traction, which snow, ice and other conditions can affect. When the warning lamp flashes, the driver needs to use less throttle and adapt speed and driving behaviour to prevailing road conditions. Based on WardsAuto Large/Regular Car segmentation and EnerGuide fuel consumption ratings. Government of Canada test methods used. Your actual fuel consumption will vary based on driving habits and other factors. 12.8 L/100 km (22 mpg) city and 8.7 L/100 km (32 mpg) highway on Chrysler 300 AWD with 3.6L PentastarTM VVT V6 engine and 8-speed automatic transmission. Ask your retailer for EnerGuide information. Only available with automatic transmissions. Phone must support Bluetooth Phone Book Access Profile (PBAP). Preset voice to text messaging and incoming text message reading requires a MAP enabled phone. Siri Eyes Free requires an iPhone equipped with Siri. Certain features not available while the vehicle is in motion. iPhone must be within active cellular range. Customer's existing iPhone data rates apply to internet supported features. All SiriusXM GuardianTM-equipped vehicles come with a 12-month trial effective on the date of purchase or lease of a new vehicle. Enrollment in the trial is required to receive service. Upon expiration of the trial period, purchase of a subscription is required to continue SiriusXM Guardian. Services can only be used where cellular coverage is available. See Uconnect® and SiriusXM Guardian Terms of Service for complete service limitations. Based on WardsAuto Large/Regular Car segmentation and EnerGuide fuel consumption ratings. Government of Canada test methods used. Your actual fuel consumption will vary based on driving habits and other factors. 12.4 L/100 km (23 mpg) city and 7.8 L/100 km (36 mpg) highway on Chrysler 300 RWD with 3.6L PentastarTM VVT V6 engine and 8-speed automatic transmission. 12.8 L/100 km (22 mpg) city and 8.7 L/100 km (32 mpg) highway on Chrysler 300 AWD with 3.6L Pentastar VVT V6 engine and 8-speed automatic transmission. Ask your retailer for EnerGuide information. Based on the latest available competitive information for minivans in the WardsAuto Small Van segment. Excludes other vehicles designed and manufactured by FCA US LLC. When properly equipped. Based on EnerGuide fuel consumption ratings for minivans in the WardsAuto Small Van segment (Honda Odyssey, Toyota Sienna, Kia Sedona). 12.9 L/100 km (22 mpg) city and 8.4 L/100 km (34 mpg) highway fuel consumption ratings for 2017 Chrysler Pacifica with 3.6L Pentastar™ VVT V6 engine and 9-speed automatic transmission. Government of Canada test methods used. Your actual fuel consumption will vary based on driving habits and other factors. Siri® Eyes Free requires an iPhone equipped with Siri. Certain features not available while the vehicle is in motion. iPhone must be within active cellular range. Customer's existing iPhone data rates apply to internet-supported features. Estimated figures based on latest available manufacturer testing data of pre-production models and Government of Canada approved test methods. Le/100 km is an equivalent measure of gasoline fuel consumption for electric energy consumed by Plug-in Hybrid Electric Vehicles (PHEV) operating in electric mode during city driving. Miles per gallon equivalent (MPGe) estimated ratings based on imperial gallon. Actual results may vary. Use for comparison purposes only. Based on IHS Markit Automotive Canadian New Vehicle Total Registrations 2012 to CYTD September 2017. Based on IHS Markit Automotive Canadian New Vehicle Total Registrations with 8 Cylinder engines for combined years 2013 to CYTD August 2018. Manufacturer's estimate with fully-charged battery. Actual mileage may vary. www.vehicles.nrcan.gc.ca. Le/100 km is an equivalent measure of gasoline fuel consumption for electric energy consumed by Plug-in Hybrid Electric Vehicles (PHEV) operating in electric mode during city driving. Miles per gallon equivalent (MPGe) ratings based on imperial gallon. Use for comparisons only. See dealer for complete details and copy of the warranty. The Chrysler Pacifica received the lowest number of problems per 100 vehicles reflecting higher quality among minivans in the J.D. Power 2017 Initial Quality Study based on 77,419 total responses, evaluating 189 models, and measures the opinions of new 2017 vehicle owners after 90 days of ownership, surveyed in February-May 2017. Your experiences may vary. Visit jdpower.com. Requires purchase and professional installation. See Chrysler retailer for details. Based on WardsAuto Large/Regular Car segmentation and EnerGuide fuel consumption ratings. Government of Canada test methods used. Your actual fuel consumption will vary based on driving habits and other factors. 14.7 L/100 km (19 mpg) city and 9.4 L/100 km (30 mpg) highway on Chrysler 300 with 5.7L HEMI® VVT V8 engine and 8-speed automatic transmission. Ask your retailer for EnerGuide information. Offer for Apple Music in Canada begins May 1, 2018 to April 30, 2019 with retail purchase/lease of qualifying new Chrysler, Jeep, Dodge, FIAT and Ram vehicles. New Apple Music subscribers get 6 months free. Existing Apple Music subscribers get 3 months free. Not for resale and no cash value. Requires iTunes account. See dealer for details. Apple is a registered trademark of Apple Inc.
Apple is not a sponsor of this promotion. Requires iOS equipped device. Visit www.apple.com/ca/ios/carplay/ for details. 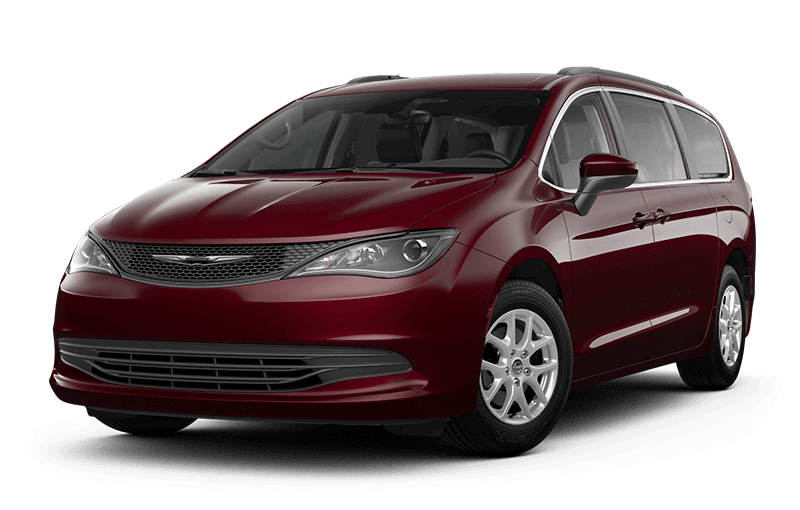 Total discounts of up to $7,000 are offered on most 2019 Pacifica models (excludes L, LX and Hybrid models) and consist of $7,000 in Consumer Cash (deducted before taxes). This offer cannot be combined with low rate financing. See your dealer for details.